Problems with your air conditioner can happen at the worst times and when your AC unit breaks down during the weekend or the middle of the night, don’t fret – Call Air Zone Air Conditioning and Heating who offers 24-hour emergency AC repair in Tampa and the surrounding Hillsborough, Pinellas, Pasco, Polk, and Hernando County areas. Our skilled technicians work on all major brands and are available on your schedule. Don’t let a faulty AC unit put you in a tough spot when our team is ready to help at any time. 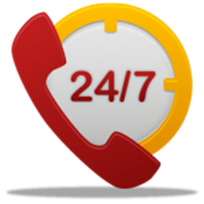 When Should You Call for 24-Hour AC Services? If your cooling or heating stops working properly, you may need air conditioning repair. Our team is highly trained and has decades of experience diagnosing problems and delivering the best solution. When Are Emergency Repairs Necessary? AC problems don’t always occur during weekdays. When you need air conditioning service you can depend on 24-hours a day, let us help. When you work with our organization, you get access to affordable emergency AC repair services within Tampa Bay’s five counties. We work on units in both residential and commercial facilities, and no need is too big or too small. Our team performs installations and offers a variety of maintenance plans to help you keep your AC unit in great shape. We also provide heating services and offer a number of clean-air products. Our company is a pre-qualified contractor with Duke Energy, allowing our customers to obtain certain rebates for home energy improvements. 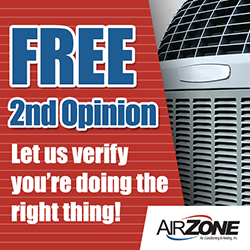 Why Choose Air Zone For Emergency AC Repair In Tampa? When you need emergency AC repair in Tampa, Air Zone Air Conditioning & Heating. Not only do we offer affordable prices, but we have over 30 years of experience working on air conditioning units. Our skilled technicians have performed emergency services at homes and businesses throughoutHillsborough, Pinellas, Pasco, Polk, and Hernando County. By combining a deep technical understanding of AC units with an unmatched commitment to professionalism, we’ve helped meet the needs of many customers. 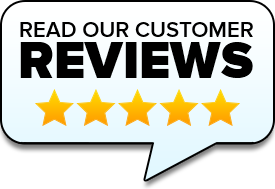 We service all major brands including Bryant, Ruud, Carrier, Rheem, Trane, and Goodman. Don’t let an unexpected problem with your air conditioner cause you grief. Our skilled technicians are here to help you 24-hours a day! Contact Air Zone Air Conditioning and Heating today! Give us a call at 813.855.4191 or fill out the online form here.